With a focus on catalysing digital transactions in line with the government’s vision of a cashless economy, to enable mobile users transact securely and conveniently, Idea Cellular has redesigned the Idea Money* app for both Android and iOS users. The new app now comes loaded with a host of unique and exciting features. The new app can be used by both, Idea users as well as non-users, on their smartphones. The retailer interface of the app enables retailers to pull payments from feature phone users through a USSD based transaction. Request Money and Split Bill Features: This unique feature enables users to share money or expenses with friends and family in a more convenient and effortless manner. Users can now add their friends and family amongst whom the bill is to be split, and request money thereon. Standing Instructions Feature: This unique feature for bill payments will also allow Idea users to conduct cyclical payments such as payments of Idea postpaid bills or prepaid recharges without any hassle. This can be done by setting a one-time instruction for conducting the transaction in the required cycle. The Idea Money app also offers users the benefit of donating money to their favourite charities with a single click. Currently 10 charitable organizations can be reached out through the app, including Concern India Foundation, CRY, Give India, HelpAge India, PETA and Shree Siddhivinayak Temple Trust. Some of the other useful offerings that the app now features include app notification, offers section, a transactions history section and customer personalization. Idea Money has witnessed a huge upsurge both in volumes and usage values, post demonetisation and has almost reached 1 million downloads on the Android platform. There has also been an increase in load money on the wallet through Debit card, Credit card and Internet Banking. Idea Money is redefining cashless transactions through its unique features that include the recently announced Retailer Assisted Model (RAM) and the availability of USSD based transactions. RAM enables retailers to pull payments and conduct transactions via Idea Money while the USSD feature enables customers without a smartphone to conduct cashless transactions, via an SMS based platform for feature phones. 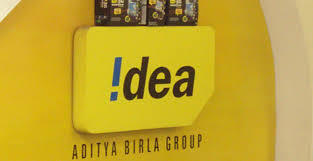 *Idea Money is a digital wallet offered by Idea Cellular Ltd. through its subsidiary Idea Mobile Commerce Services ltd.